A couple of weeks ago I was a winner of an online competition run by Bluebird Fabrics to win a fat quarter of Riley Blake Mod Tod print fabric. 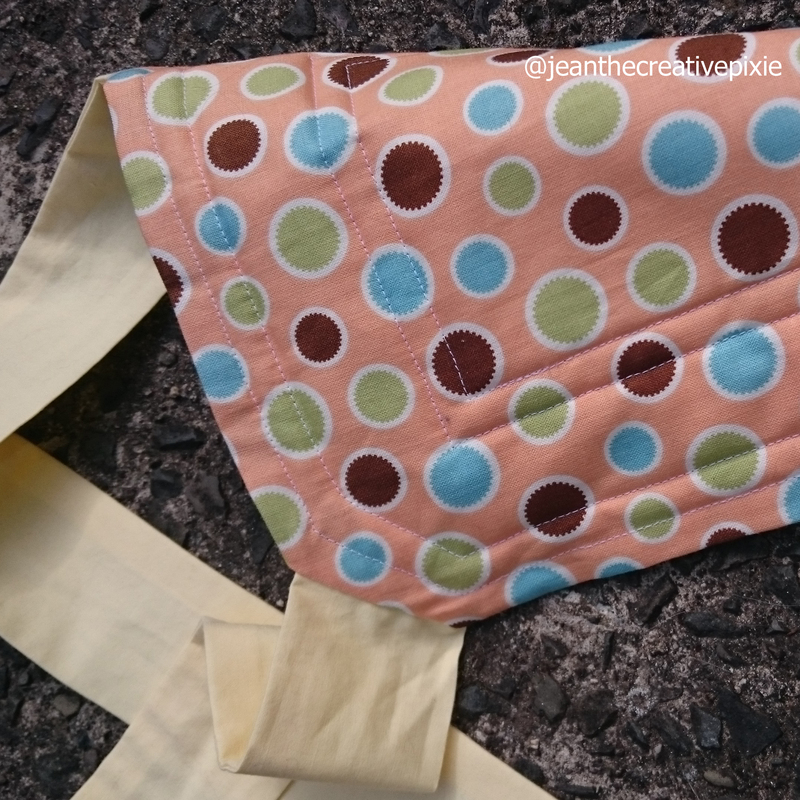 I thought that this fabric would be perfect to make a doll carrier that I had recently spied on Pinterest. The tutorial is featured on Ginger Snap Crafts website and was written by Sarah from The Crazy Tailor. You can find the tutorial here. The tutorial is simple enough to follow (though I had to convert to cm for my ruler) as it involved cutting out various sizes of rectangles, I was so glad to have my rotary cutter for this. I also used this as the perfect opportunity to try out my new walking foot for the sewing machine as I wanted to add some batting to give the carrier more substance. I just bought a generic walking foot from Amazon for £5.41 (compared to £40 for a Janome branded one) and looked up YouTube for a video on how to fit the darn thing as it came with limited instructions. 3 videos later I was ready to go, though Flynny had now made herself comfortable next to the machine. 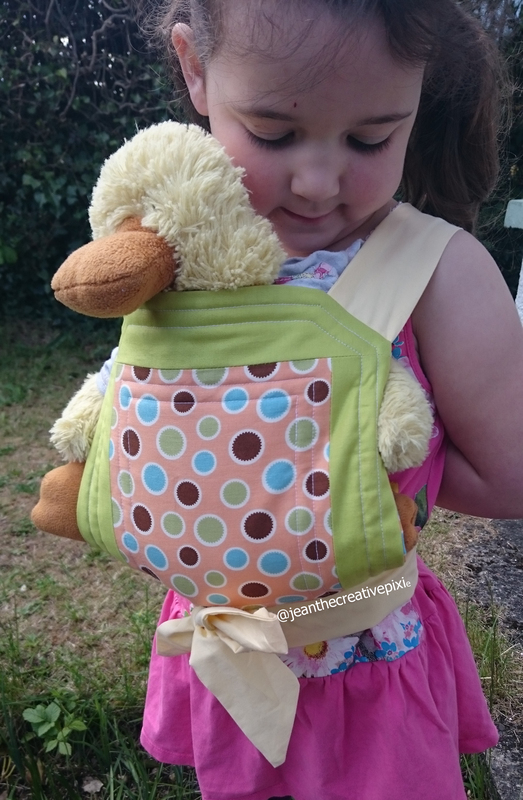 After a couple of hours of cutting, ironing and sewing I had finished the doll carrier. 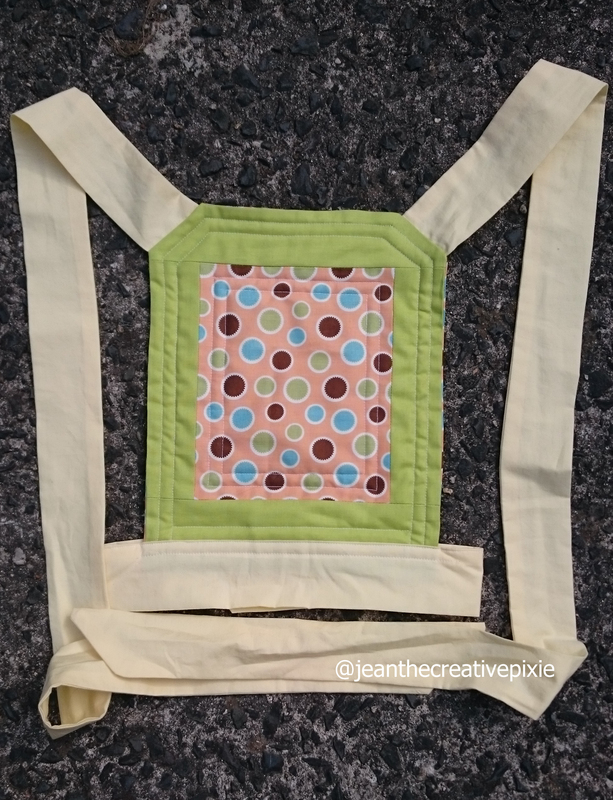 I used the Mod Tod fabric on the front panel of the carrier, with a coordinating green fabric border,as well as using it to line the inside. Miss E couldn’t wait to get the doll carrier on, but first she had to find Ducky (her baby duck doll). 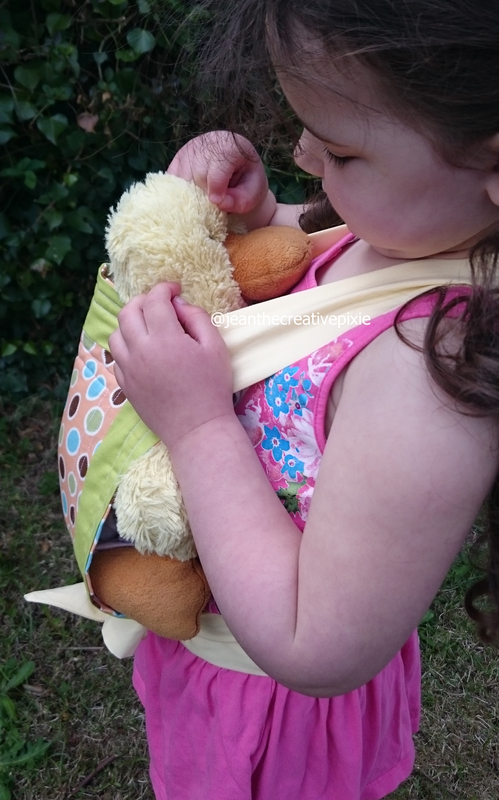 The carrier is fastened by Velcro on the waistband and the shoulder straps cross over on the back and are tied together on the front, under the doll. 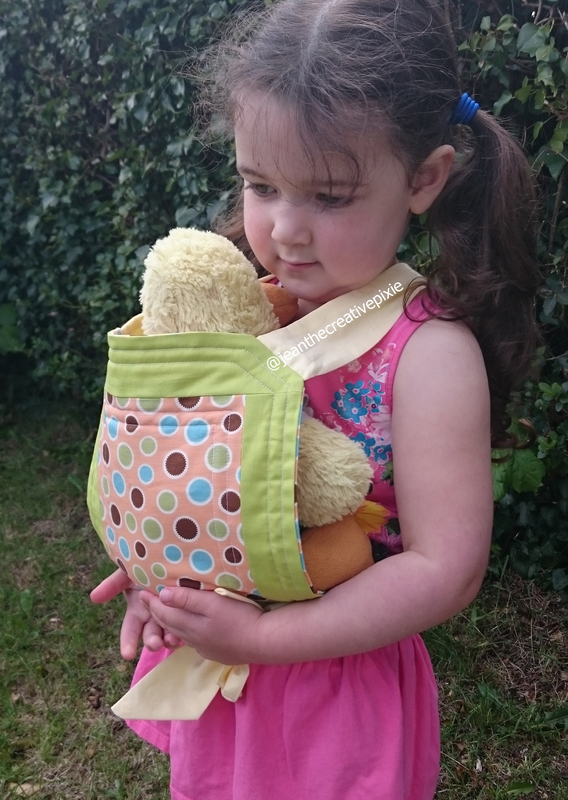 Miss E thought it was brilliant she could now carry Ducky around with her. The downside of making one for Miss E is that now Miss P has asked for one! Now I have the dining table tidy I think I’ll do a bit more sewing soon. 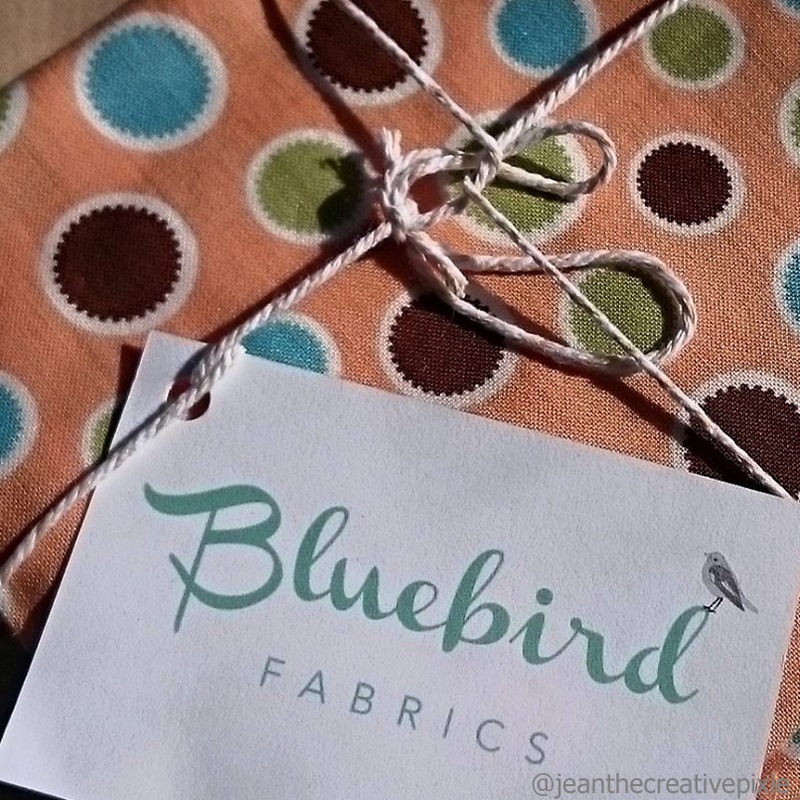 Thanks to Bluebird Fabrics for the fat quarter. Yes take this as a sign, everytime I bring it out I always think how great it is to be sewing again. 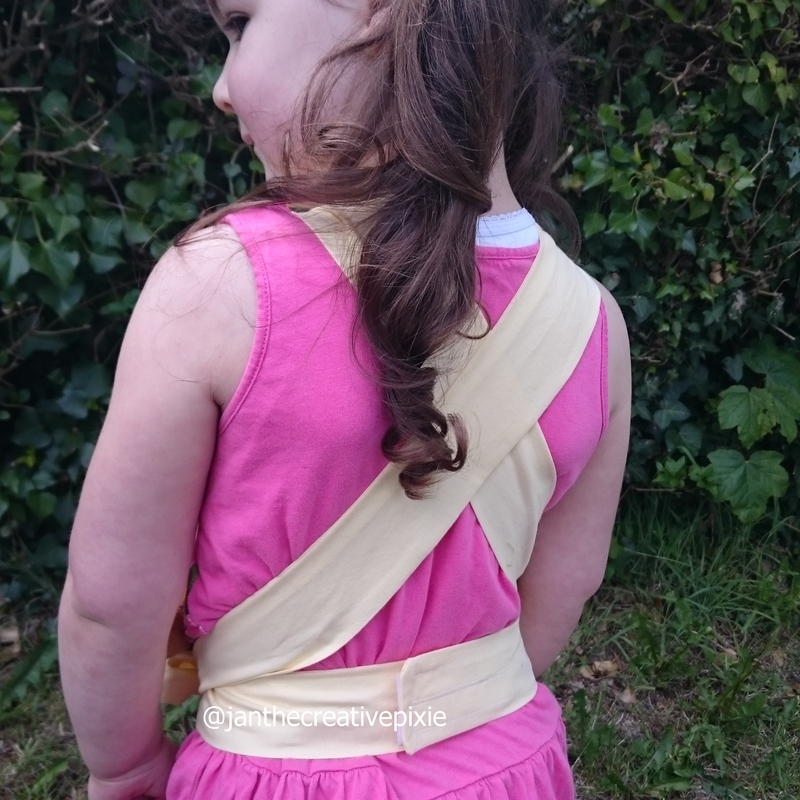 You should give it a go, the hardest part was cutting out the fabric to the correct size – especially those long shoulder straps. So sweet – both the carrier and the little sweetness wearing it. I can see that ducky will get all the nurturing he needs. Aw, what a lovely idea and so well executed! That is just the cutest thing!! 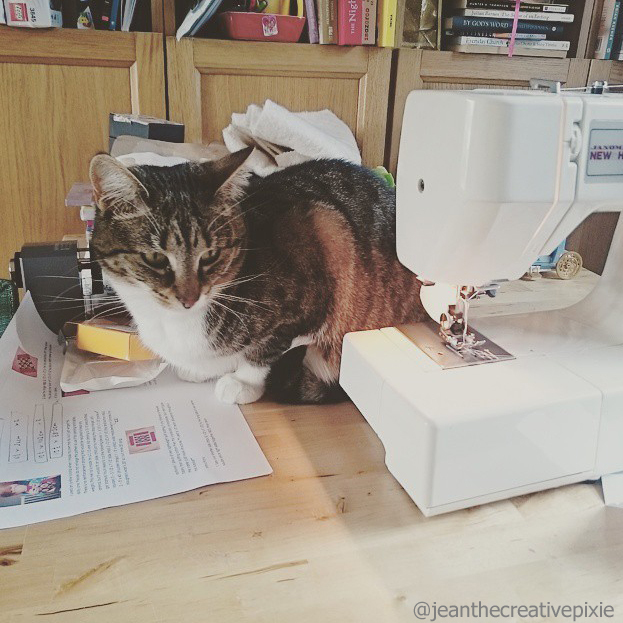 Found you, what a cute project and a great blog! Will keep in touch.